With the new Acrobat DC, Adobe offers a killer app that could lure at least some users back from cheaper PDF editors: Electronic signatures. 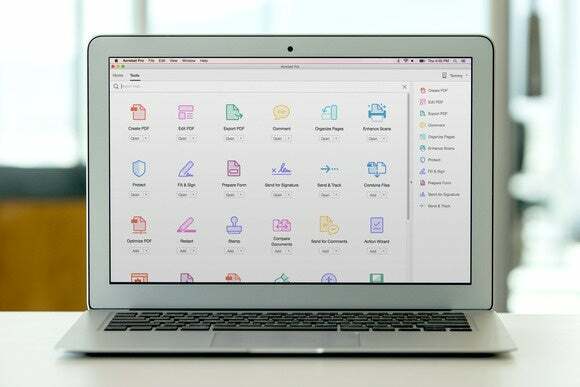 Signatures are an essential part of business, and one that’s now made much easier with the new Document Cloud service you can get on subscription with Acrobat. No other competing PDF utility has anything like it. We tried Document Cloud and all the other new features, including a new interface and new mobile apps, in our review. Before we get too deep into that, however, let’s go over all the new flavors of Acrobat. Adobe's new Document cloud service will offer electronic signature management, a standout feature compared to other PDF applications. Acrobat DC and Acrobat Pro DC are available as perpetual versions ($299 and $449, respectively) or subscription versions ($13 and up, depending upon version and length of subscription). The perpetual versions do not allow you to send out PDFs for electronic signatures. The non-Pro version lacks things like PDF file optimization, redaction, Preflighting (checking document elements prior to press printing), Bates numbering (adding numbers or date and time marks to a document), and document version comparisons. The mobile apps are free. If you subscribe to Creative Cloud, you’ll get the same features as with Acrobat Pro DC (subscription). 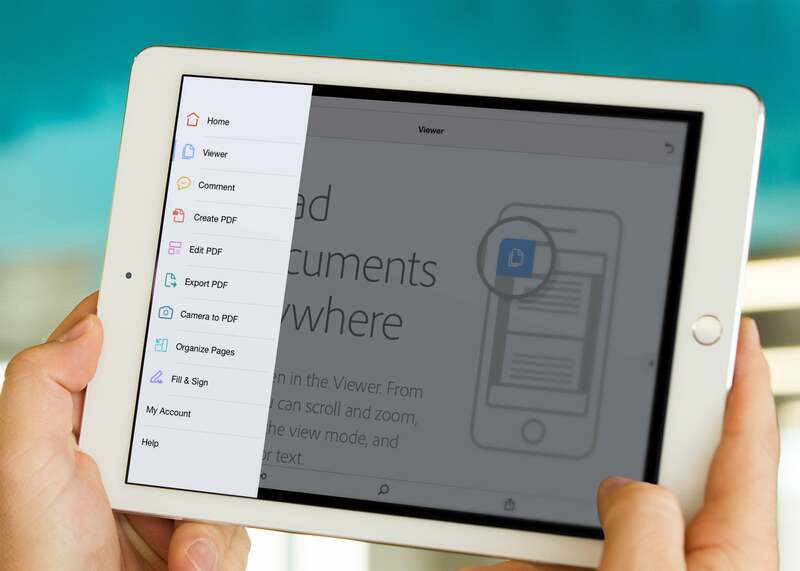 The new Acrobat pushes PDFs to the cloud. No, not that cloud: Instead of incorporating new features into its Creative Cloud subscription service, Adobe is introducing a new cloud, called the Document Cloud (DC for short), a document-management and document-signing service for which Acrobat is the interface, on the Mac, iPad, and iPhone. Adobe Acrobat's new interface will be consistent across platforms and devices. Document Cloud is a cloud unto itself: It has no awareness of iCloud, Amazon Cloud, DropBox, Google Drive, or any other cloud service. It’s more than a little annoying to contemplate having to subscribe to another cloud service to get things done. However, you can open PDFs or other documents located on those other services in Acrobat, and they will appear in your Recent list of files in Acrobat. 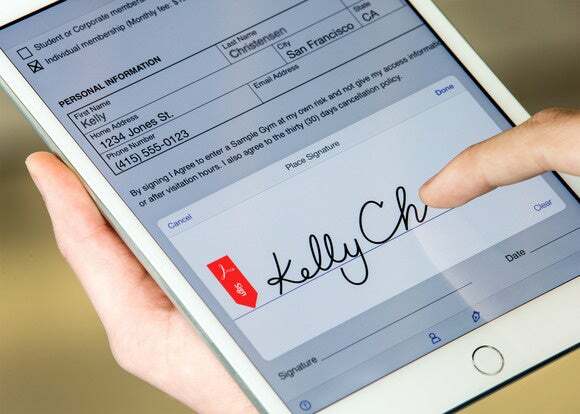 Adobe’s EchoSign electronic signature service is no more—because its features are now built into Acrobat Pro DC and the Document Cloud (it’s also included with Creative Cloud subscriptions). You get unlimited signatures—the same level of service as you’d get from an EchoSign Pro subscription, which costs $15 a month, and you get the application as part of the deal. The competing DocuSign service costs $10 per month for five signatures or $20 per month for unlimited signatures, and you have to bring your own application (which could be Acrobat—can you say “awkward”?). You’ll need a desktop version of Acrobat DC that includes a Document Cloud subscription to send PDFs out for electronic signatures. Even though Adobe’s mobile apps may be tied to your Document Cloud, you can’t send a document out for a signature from one of them. But no subscription is required to sign, comment on, or save them. You don’t even need a version of Acrobat to sign a document—you can put your Jane Hancock on it in a browser window. Acrobat’s interface has been updated significantly on the desktop application and the mobile applications, and the Document Cloud service is featured prominently. The Home screen on all of them shows you a menu of available documents stored in the cloud or locally. 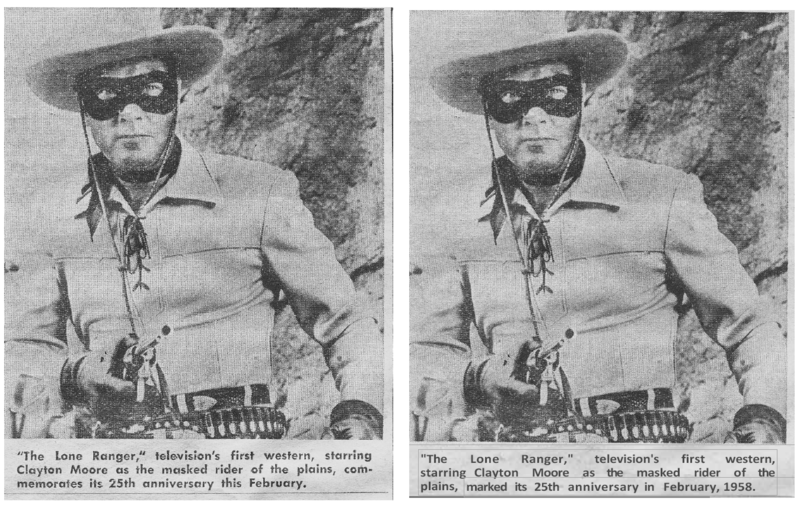 The versions share many features, with the notable but understandable exception of OCR (most phones can’t perform the processing required by OCR, though Adobe says that it may add that feature to the mobile versions in the future). When you open a PDF in the desktop version of Acrobat Pro DC, you’ll see a large tools menu on the right side of the window; the tools are similar to Acrobat XI’s, but the pane and the icons are larger. After you select a tool, a Tools dropdown menu appears, with options, and the right-side tools menu disappears. I’d rather use the dropdown menu all the time, but that’s not an option. You can’t set Acrobat not to show the large right-side pane on startup. If you don’t want to see it, you must hide it every time you open a PDF. The left-side Navigation bar no longer appears, though, unless the PDF you’re opening has bookmarks, signatures, or layers. 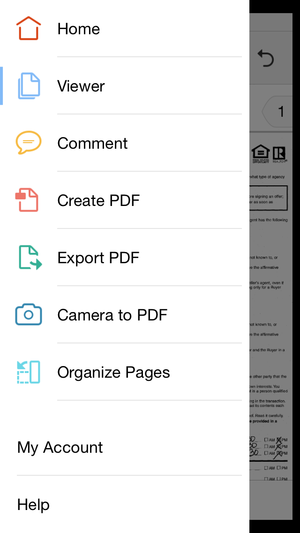 The new Adobe Acrobat DC has a completely revamped interface designed to be consistent across desktop and mobile apps. 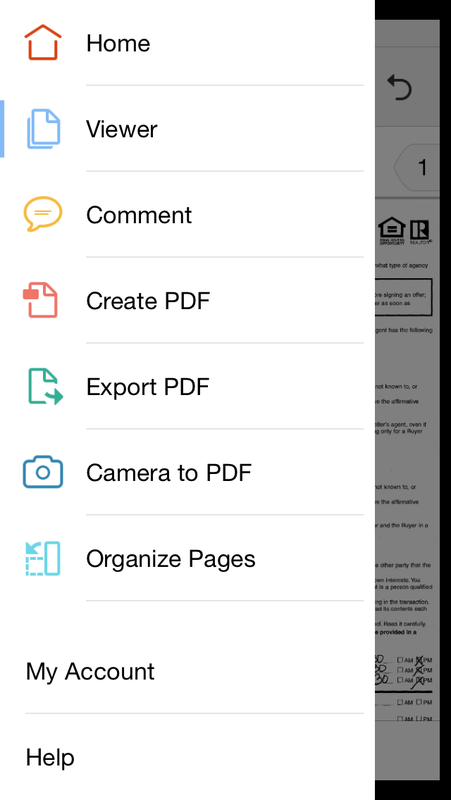 As for iOS, you can use your iPhone’s camera to capture an image and convert it to a PDF. On an iPhone 6, processing a 5MB image took about a minute. When you open it on a desktop, you can use a new feature called Enhance Scans, which is like an auto-everything image editing function with almost no options. Adobe intends for you to use it scan store receipts, enhance them, and then store them in the cloud. It’s supposed to correct lighting and color, and it’ll even de-skew, straighten, and crop an image. The de-skewing, straightening, and cropping worked pretty well for me, but it blew out the highlights on a couple of the receipts I captured. Your success will depend on lighting (and your phone’s camera quality, of course). You can perform text recognition (OCR) from the Enhance Scans tools section, but if you intend to edit that text, then you should simply use the Edit PDF tool, which will perform an OCR scan automatically once you select the tool. This is a crucial component of what I think is the most impressive of Acrobat’s new features: While Acrobat XI could recognize text and, if you attempted to edit it, try to match it up to a font on your system, Acrobat DC looks at text glyphs and recreates the font—“flaws and all,” says Adobe. That means font size, tracking, leading, shading, and much more. Acrobat DC Pro doesn’t just match the font. It matches everything about how the typeface looks, so that you can edit with perfectly matching text (before editing at left, after at right). I tried it out on a scan of a 57-year-old newspaper page that I'd found in my attic, and Acrobat let me add text that almost no one could tell hadn’t been typeset and printed in 1958. However, it was difficult to click in the correct text box to edit in such a document, because you may see multiple, overlapping boxes. And when I tried to use Edit PDF on a couple of recent store receipts containing very clear, monospaced-font text, Acrobat made very little of the text editable. If you don’t like the result, you can’t undo, either—you have to close the document and start over. Adobe has created a very useful cloud service, albeit one that’s segregated from other cloud services, but the integration of electronic signature sending and tracking is the thing that sets it apart from other PDF applications. If you don’t need signing but you still need Acrobat for other functions, then you might consider using the perpetual version with the cloud service of your choice. This story, "Review: Adobe Acrobat Pro DC's electronic signatures are its killer app" was originally published by PCWorld. No other competing PDF utility has anything like the new electronic signature features in the new Acrobat. But you'll have to subscribe to Document Cloud to get it.